Hair clippers come in a wide variety of sizes, shapes, and colors. This can make it extremely hard to determine which clippers are the best for you. One of the most important features to look for when searching for a good hair clipper is the blade. You want a high quality, sharp blade that will cut through your hair regardless of the texture or length. It may also be a good idea to find a pair of hair clippers that have several different settings so it can accommodate any hair style that you choose. One product that may be worth looking in to is the Philips HairClipper HC5450/83 with DualCut Technology and Titanium Blades. No Oil – Philips HC5450 hair clipper blades never need to be oiled. Cleaning – The blades can be released quickly for a thorough cleaning. 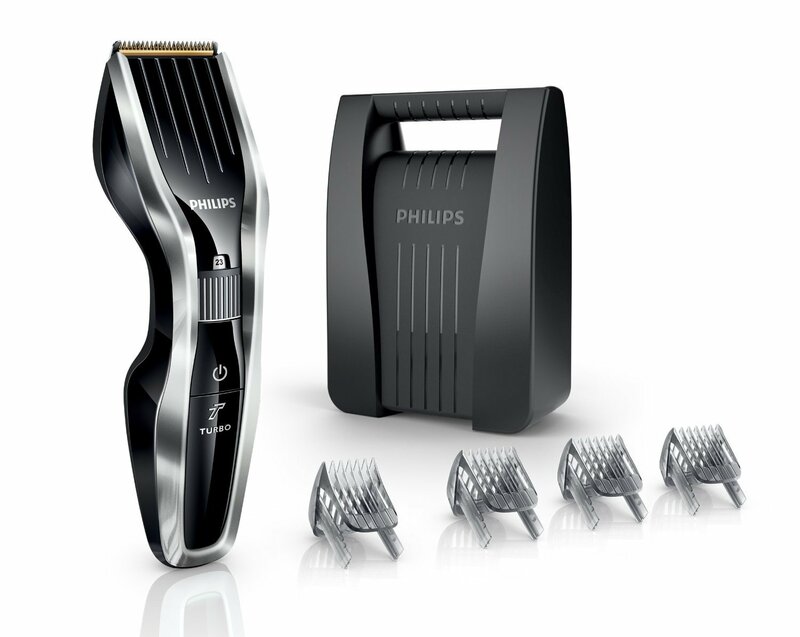 Fast Charge – Charging your Philips hair clipper for one hour will give you an hour and a half of cordless usage. Exact Length Control – With 24 length settings, you can turn the wheel and lock in any length you desire. You can achieve a .5mm trim without the comb or use the 23 other settings that range from 1mm through 23mm, in 1mm increments. There is a two year guarantee for this product. To make things even better, Philips will guarantee your hair clippers for another 3 years when you register them online. It is very easy to move the cutting length adjustments on the Philips hair clipper. This can result in a haircut you weren’t looking for if you aren’t paying attention to the setting. The case also offers a tight fit for the device and each attachment so it can be tough to get everything back in there without having to mess around with it a little. The Philips HC5450 seems to be an overall good product to try. The good outweighs the bad drastically and offers a wide array of hair length settings that create an ideal look for all consumers.